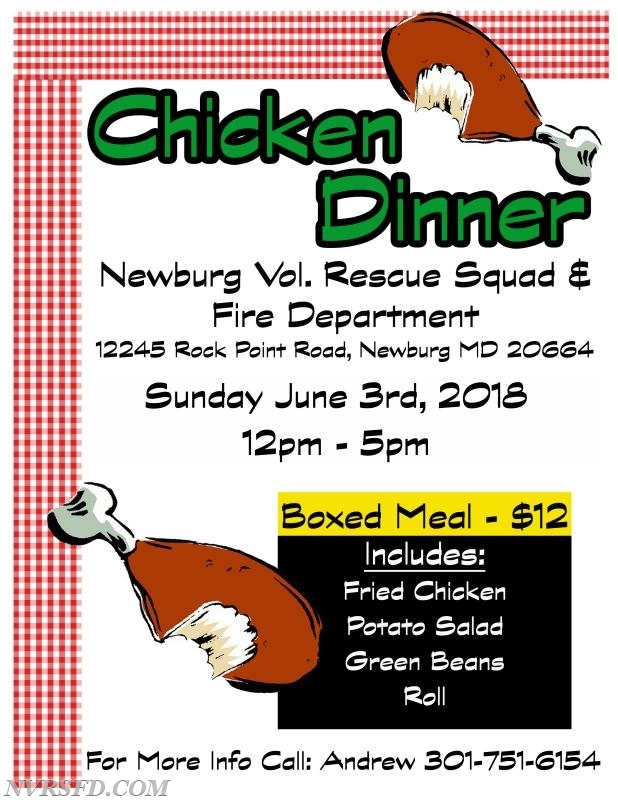 The Newburg Volunteer Rescue Squad & Fire Department will hold a Fried Chicken Dinner on Sunday June 3rd, 2018 from Noon-5 p.m.! Dinners will be $12 and include fried chicken, potato salad, green beans and a roll. Bake Sale and 50/50 raffle as well! Available to eat in or take out! Stop on in for some great food, and as always, we THANK our community for it's support to our department! Questions, call Andrew at (301) 751-6154 or find us on Facebook at "Newburg Volunteer Rescue Squad and Fire Department"